YOU HAD ME AT GORGEOUS! This immaculate Casita features Stunning wood flooring, soaring ceilings, plant shelving, a cozy gas fireplace, plantation shutters, and a warm color pallet. Stylish open kitchen is sure to impress with lovely custom cabinetry, ss appliances, granite counter tops, back splash, a pantry, west bar with beverage refrig and a breakfast bar. The private patio is perfect to relax and enjoy the Sonoran sunsets. This is a 40+ active adult community of Westbrook Village. Enjoy the resort style amenities including a clubhouse, pickle ball courts and outdoor swimming pool. 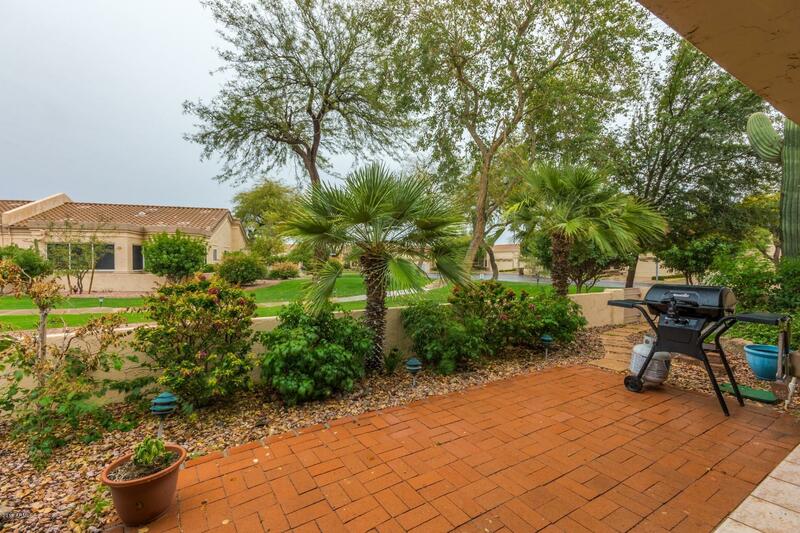 This Casita is Ideally placed near the pool and overlooking a lush grassy area this home takes full advantage of this tranquil community lifestyle. This home is exactly what you've been searching for!